An Archives of Ontario presentation commemorating the First World War centennial. 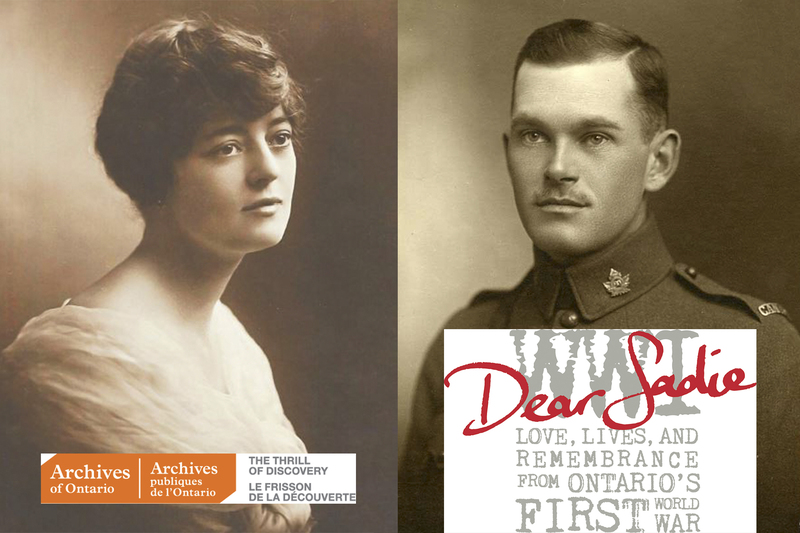 "Dear Sadie" highlights unique, personal stories underlying the war, based on a series of letters between a Canadian soldier fighting overseas and his sweetheart back home. If you do not have an OPL card, register here on Eventbrite: https://www.eventbrite.ca/myevent?eid=49999808774 . Registration recommended but not required. November is Remembrance Month, and it has special significance this year as we mark the 100th anniversary of the end of World War I.